Cheryl is a British pop singer and television personality. She was a singer in the pop band Girls Aloud before having a successful solo career and being a judge on The X Factor. She has a baby with One Direction star Liam Payne. Who is Cheryl, how old is she, when is her birthday, how tall is she and what is her background? Cheryl was born Cheryl Ann Tweedy on June 30 1983 and is 35 years old. The star was born in Newcastle-upon-Tyne in the UK and is 1.6 metres tall. Her parents are Joan Callaghan and Garry Tweedy, and they separated when she was 11. As a child she appeared on television a number of times, most notably in a British Gas commercial. She auditioned for the television talent contest Popstars: The Rivals in 2002 and this was the beginning of her musical career. Why is Cheryl famous and what is her occupation? Cheryl was initially famous for being a member of the girl band Girls Aloud. She then went on to release four solo albums and appear as a judge on The X Factor, both in the UK and the US. What is Cheryl’s net worth? Her net worth is reported to be £20million according to The Sun newspaper. How much does Cheryl earn? In 2016, the singer earned £1.8million for her appearance on The X Factor. How much does Cheryl weigh, how did she lose her baby weight? Cheryl weighs 114 pounds or 51kg. She lost her baby weight after the birth of baby Bear by doing exercise routines from the internet in her lounge room. The Geordie-born star moved out of her home in Hertfordshire in February 2017 and moved into the home of her boyfriend, One Direction singer Liam Payne, in Surrey. When was Cheryl pregnant with Liam Payne’s child, when was her pregnancy announced, what has Cheryl called her baby, when did she give birth? It was first rumoured that Cheryl was pregnant with Liam Payne’s child in November 2016 and she confirmed this on 30 November, by which time she had a very visible baby bump. Their baby, Bear Grey Payne, was born on March 22, 2017.
Who was Cheryl married to, why did Cheryl and Ashley Cole split up, when did they get married, how did they meet. When did they split? She was married twice before her relationship with Liam Payne. 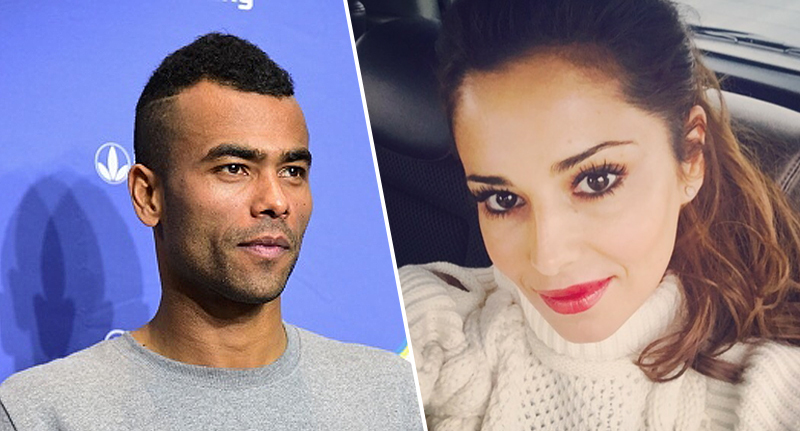 The star married footballer Ashley Cole in 2006, whom she met when they lived in the same block of flats but they divorced in 2010. She then married Frenchman Jean-Bernard Fernandez-Versini in 2014 before divorcing in 2016.
Who is Cheryl dating, who has she dated in the past and why did they break up? In addition to her marriages to Ashley Cole and Jean-Bernard Fernandez-Versini and her current relationship with Liam Payne, Cheryl has been linked to Tre Holloway, Taio Cruz and Derek Hough. How did Cheryl and Liam Payne start dating, how long have they been together for, are they married, are they engaged, when did they first appear in public together? Liam first confirmed the pair were dating in February 2016 by posting a picture of them together on his Instagram feed, and it is thought that they first started dating three months earlier. They have now been together for two years but are not yet engaged. What band was Cheryl Cole in, how did she join Girls Aloud, does she get on with the other girls still, why did she leave the band? The talented singer won a place in pop band Girls Aloud when it was formed on the ITV talent show Popstars: The Rivals. The band split in 2013 on the last night of their Ten: The Hits Tour, citing exhaustion after 10 years hard work. While there are some tensions with the other girls in the band, she is still reported to be best friends with Kimberley Walsh. Fernandez-Versini, when was their divorce finalised? After her divorce from Ashley Cole, she married Jean-Bernard Fernandez-Versini, her boyfriend of three months, in July 2014. Their divorce was finalised in 2016 but they are thought to have split in late 2015. Various reasons were alleged for the split, including the language barrier, his jealousy and the fact they married before they really knew each other. She is currently living with Liam Payne and has previously been linked to Tre Holloway, Taio Cruz and Derek Hough. What is Cheryl’s full name, what has she changed her name to in the past, is she Cheryl Payne? She was born Cheryl Ann Tweedy and changed her name to Cheryl Cole after her first marriage. On marrying her second husband she changed her name to Cheryl Fernandez-Versini. After her second divorce she reverted to her maiden name Tweedy, but just uses her first name for her singing and television career. What are Cheryl’s biggest songs and albums, what was the first song she released, how many number ones has she had, what are they? She has had five UK number one singles, including her first single Fight for This Love and her later songs Promise This, Call My Name, Crazy Stupid Love and I Don’t Care. Her first two album 3 Words (2009) and Messy Little Raindrops (2010) also reached number one in the UK album charts. Does awards has Cheryl won and when? In addition to the awards the Geordie star has won as part of Girls Aloud, she has won awards for her solo work and for her style. In 2009 and 2010 she was named FHM’s sexiest woman. She has also won awards for Best Dressed Woman from Glamour and Elle magazines and a BT Digital Music Award for Best Female Artist in 2010. Is Cheryl still on The X Factor, when did she become a judge on The X Factor, why did she leave The X Factor, did she fall out with Simon Cowell, when is Cheryl going to be on The X Factor again, when did she first appear on The X Factor? The brunette beauty first joined The X Factor for series 5 in 2008 and remained on the show for another two series. In 2010 Simon Cowell also made her a judge on the US version of the show but she left after only three weeks. Simon Cowell said her departure was to allow her to return to work on the next UK season of the show but it was reported by various outlets she was sacked as US audiences could not understand her strong Geordie accent. This led to a major falling out with Simon Cowell and Cheryl ended up receiving a large financial settlement. She made up with Simon Cowell in 2014 and returned to film the 11th series of The X Factor before quitting again in mid 2016. She appeared on The X Factor again in 2017 helping Simon at his French villa in the Judges’ Houses round of the show. Has Cheryl Cole had plastic surgery or cosmetic surgery? While she has previously denied using Botox, the Daily Mail report she has had injectable treatments and extensive dental work.